A model transformation verification task may involve a number of different transformations, from one or more of a wide range of different model transformation languages, each transformation may have a particular transformation style, and there are a number of different verification properties which can be verified for each language and style of transformation. Transformations may operate upon many different modelling languages. This diversity of languages and properties indicates the need for a suitably generic framework for model transformation verification, independent of particular model transformation languages, and able to provide support for systematic procedures for verification across a range of languages, and for a range of properties. 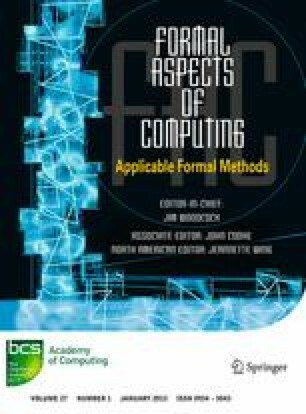 In this paper we describe the elements of such a framework, and apply this framework to some example transformation verification problems. The paper is novel in covering a wide range of different verification techniques for a wide range of MT languages, within an integrated framework. Eclipsepedia, ATL user guide. http://wiki.eclipse.org/ATL/User_Guide_-_The_ATL_Language, 2014.